The South Pacific Ocean harbours a magnificent natural structure. Jutting out of the waters like a lone castle is the Ball’s Pyramid; the remnants of an old volcano off the Australian coast. Named after British naval officer who discovered it in 1788, Ball’s Pyramid is astonishingly narrow and high, like a fingernail barely scraping the sky. For years, this place was thought to be uninhabitable and too hostile to harbour life. Until a group of climbers scaled the rock and chanced upon the “tree lobster” insects that were wiped out 80 years ago, that is. Let us rewind the story a little. 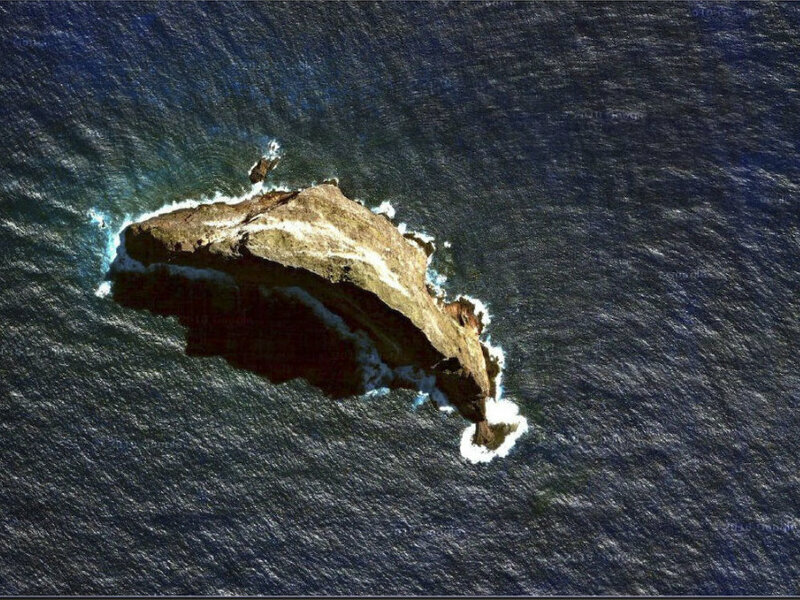 Sitting 13 miles from the enigmatic Ball’s Pyramid is a bigger island called Lord Howe Island. This island was home to one of the biggest stick insects known to man at the time. So big, in fact, that the Europeans nicknamed them “tree lobsters” because of their hard exoskeletons. Much admired by the island locals, these insects came no smaller than 12-inches and were used as bait by fishermen. Disaster struck in 1918 when the supply ship S.S. Makambo ran aground at Lord Howe and brought with it the death of these insects – black rats. A whole lot of them. These little squealers had not only began to breed but also acquired a taste for the stick insects. The more they grew in number, the more of these insects they devoured. Over time, they managed to wipe the island clean of these mighty critters and by then the Dryococelus australis was thought to be extinct. All of that changed in 2001. Remember our climbers? Australian scientists David Priddel and Nicholas Carlile finally decided to take action and follow up on their reports. With two assistants in tow, they began their ascent up the Ball’s Pyramid. 500-meters above the ground, they found some unremarkable vegetation and basic crickets which they took as a sign in the right direction. As they advanced, they came across fresh droppings (of some insect, they presumed) – and struck gold. Since tree lobsters are nocturnal creatures, they would have their best chance of spotting them after nightfall. Sure enough, when they made the climb again with their flashlights, there they were in all their glory – in and around a bushy undergrowth, all 24 of them. How had the Dryococelus australis made it to the rock? The next morning the group of scientists, climbers, and local rangers pored over their potentially life-altering discovery. As far as they knew, these 24 sticks were the only kind of their species left in the entire world – and they were all on Ball’s Pyramid. But it didn’t matter how they got there, they decided, as long as they were there. Placing them in a secure breeding program was their first priority. After surviving the frustration of getting approval from the Australian government, they were allowed to take 4 of them back home to their labs. 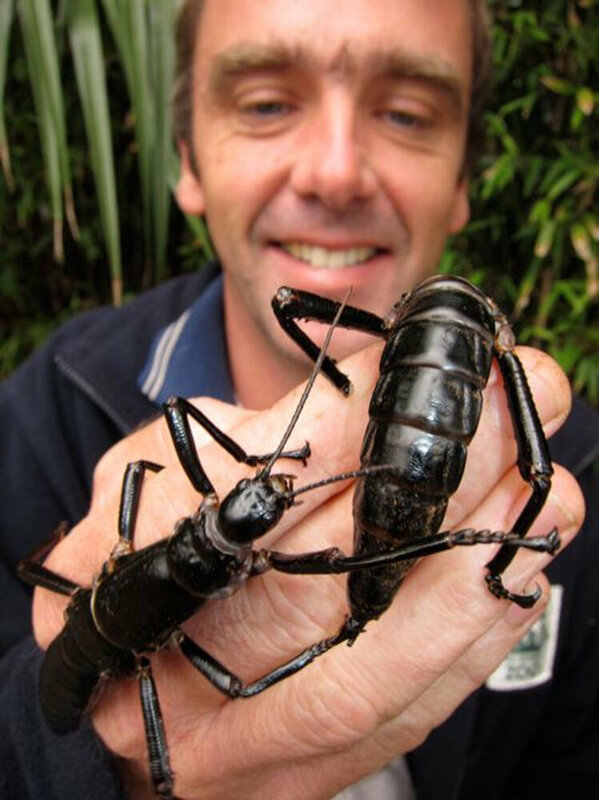 Patrick Honan from the Melbourne Zoo was assigned with taking care of these little “big” creatures. The first pair died soon after, but the one that remained were named Adam and Eve. Eve fell dangerously sick while in the lab; a terrifying experience for Honan. On the brink of death, when Eve was barely hanging on to life, Patrick fed her a few drops of a mixture he had concocted based solely on instinct. The calcium and honey made Eve recover almost immediately and she began to lay a copious number of pea-sized eggs. They had bred successfully, and Honan was elated at the achievement. 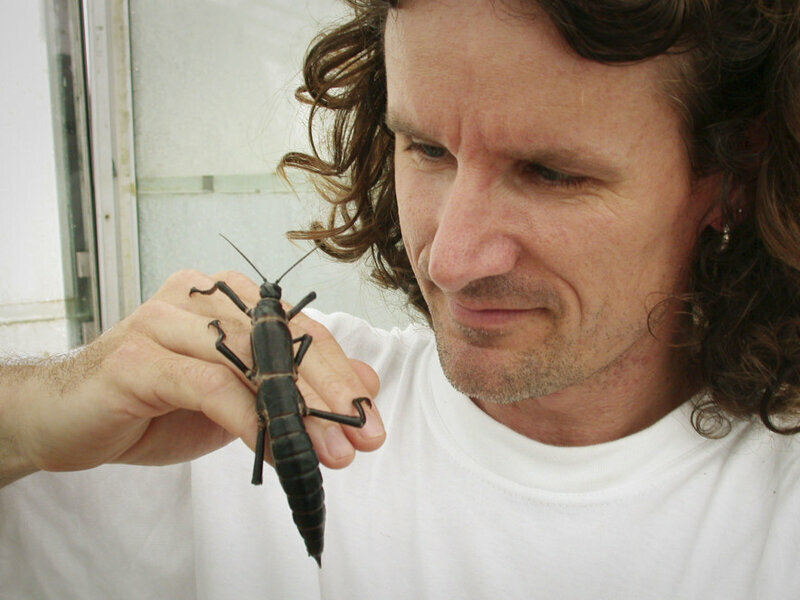 When world-renowned anthropologist Jane Goodall’s visited the pair of tree lobsters, the zoo had an impressive collection of 11,376 stick insect eggs and 700 adults in captive population. All that remains is for them to be released back to their homes, so they can once more contribute their part to a rich, bio-diverse world.